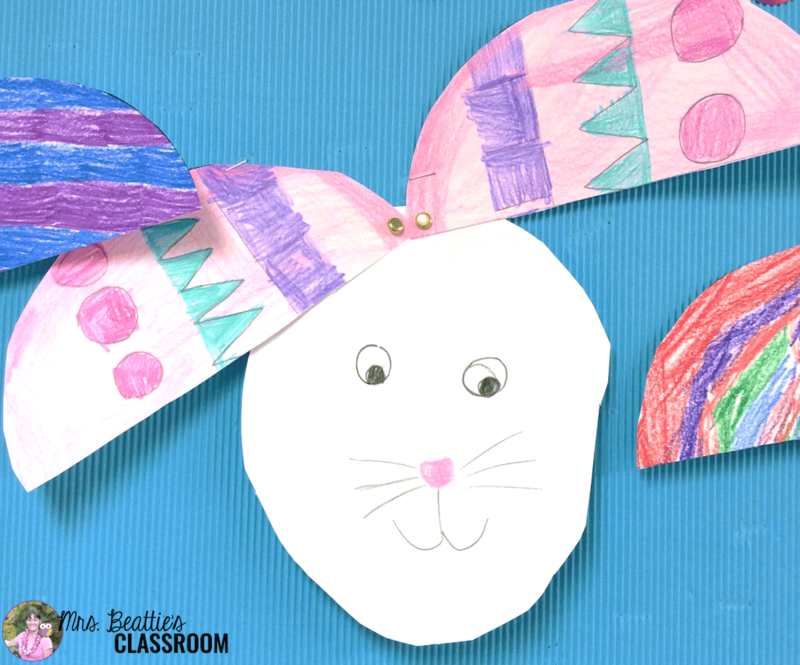 I have an adorable Easter craft that I pull out every year to share with you! 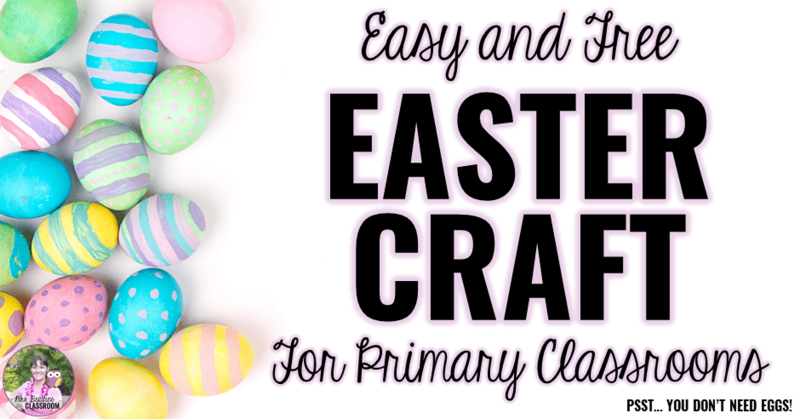 This is easy, low-prep and perfect for elementary classrooms! All you need to complete this craft is access to a printer or photocopier, the free template you can grab in my Freebie Library, heavy paper or card stock, 2 fasteners/brads per student, and whatever coloring materials you'd like students to use. 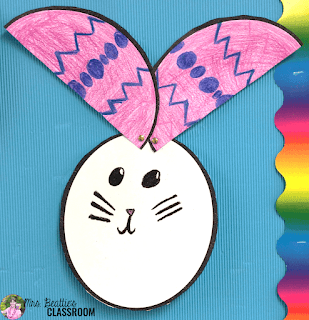 Provide students with copies of both pages of the template. 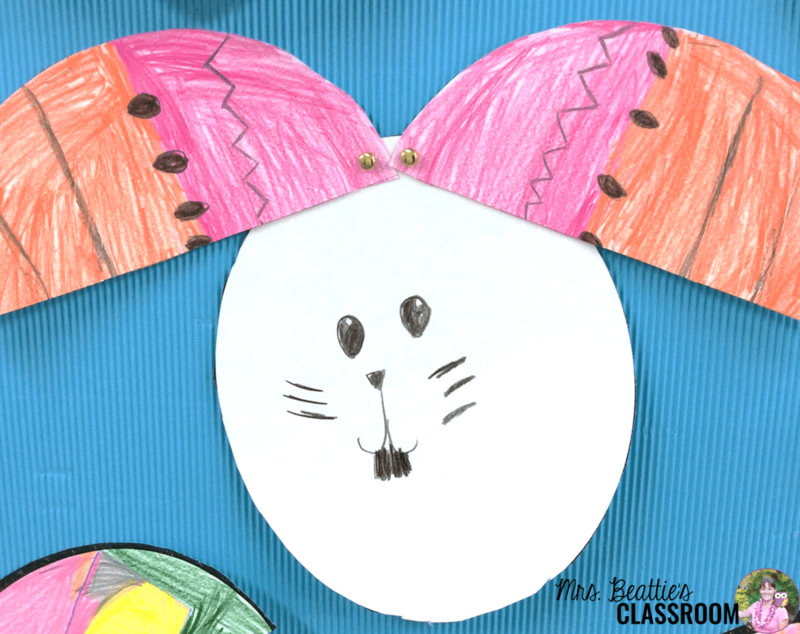 On the one that is completely blank, they need to draw a bunny face. I like to pull up some images on the SMART Board so that they can use these as inspiration. 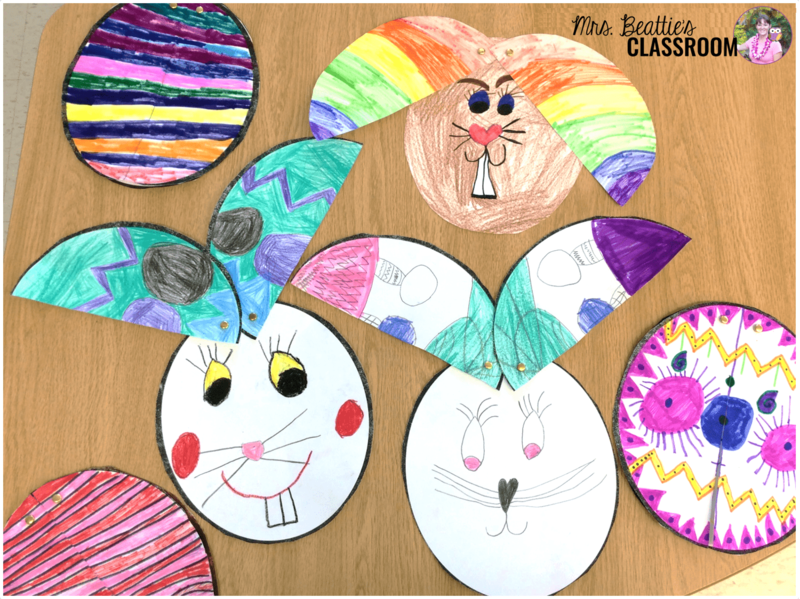 On the template page that has the dotted line, students create an Easter egg. 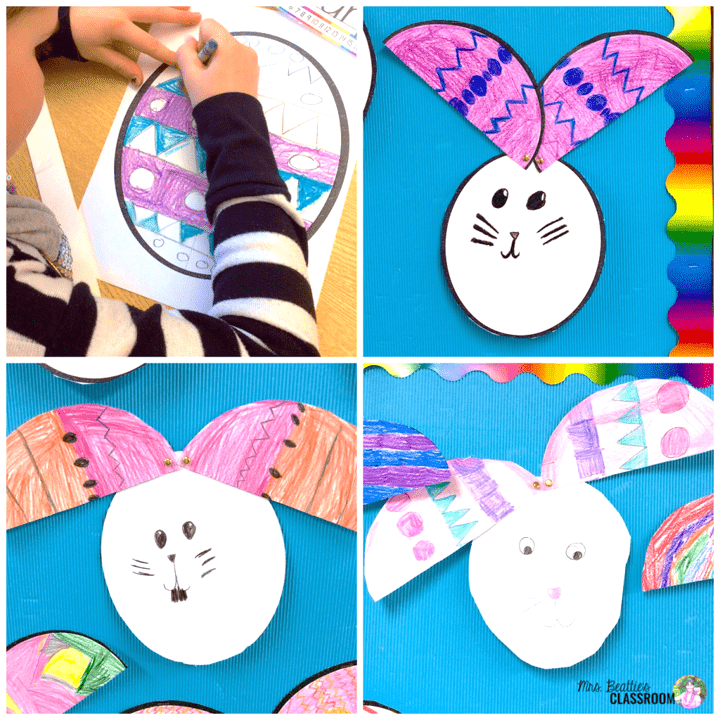 I encourage lots of color and pattern on these. When all the decorating is finished, have the students cut out the two shapes along the outer edge of the black line and cut along the dotted center line of the egg - these two pieces become the bunny ears. Fasten the ears at the top of the bunny face using the fasteners. I usually help my students with this because the heavy paper can be difficult to pierce. 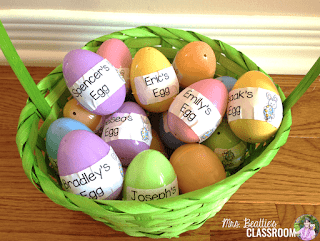 These are so cute to display on a bulletin board in the hall. 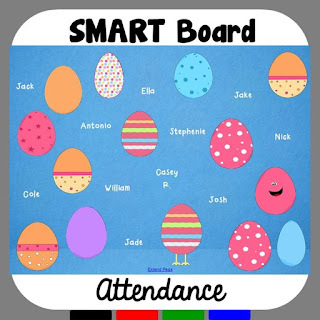 If you have a SMART Board in your classroom, you might enjoy using my interactive Easter Attendance to welcome your students to class! There are four different pages to choose from! 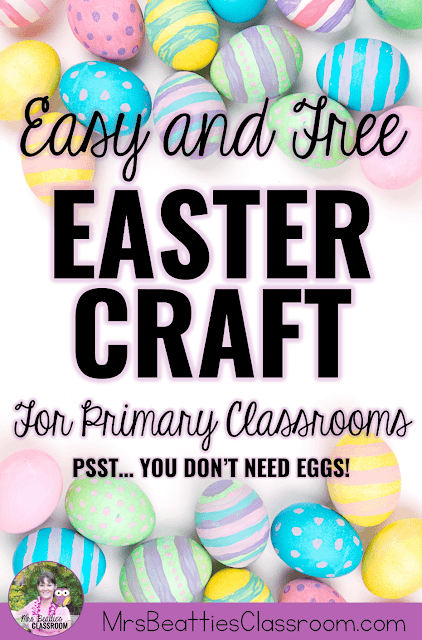 If you are new to Teachers Pay Teachers (my all-time favorite site for teaching resources! ), you can set up a free account here! Lost my comment - hope you don't mind but I have used one of your images on my Meopham Allotments (England) FB page. Love the Easter saying. I used Bing to search for copyright free images to use and you came up. The image has not been changed in any way and you are credited with it. Thank you. In fact as I am writing this someone has "liked" your image. Hi there! Thanks for reaching out. 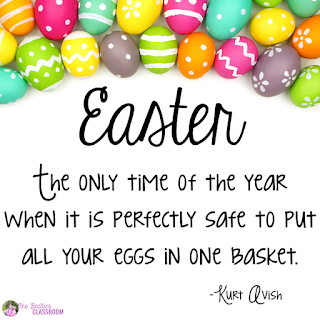 Please be careful about using an internet search to find usable images. My image in not copyright-free. I am fine with you sharing it, but I'm unable to find it myself. If it is a public Facebook page you are posting on it would be great if you could tag my Facebook page in return. Connect with me!! I love reading your comments and will respond as soon as I can!